A leading international law firm, Milbank Tweed Hadley and Mccloy was founded in 1866. Its profound experience and a team of multitalented lawyers make it stand out among other law concerns. Because of this, scores of entrepreneurs, industrialists and financiers reach out to this law firm and benefit from its fresh and creative strategies that help them thrive. The firm has an outstanding record of delivering results for its clients, which helps win scores of awards. International Financial Law Review, The American Lawyer as well as Chambers all recognize the efforts of this law firm on constant basis. Milbank Tweed Hadley and Mccloy always seeks to hire professionals from diverse backgrounds to comply with its core value of diversity. This approach enables it to extend highly quality customer service and also enables it to deliver results better than other law offices. Milbank Tweed Hadley and Mccloy LLP believes in team work. This is why all its attorneys and the support staff work in close coordination which enables it to understand and address the needs of clients more effectively than other law offices. The lawyers at this firm have the talent and the experience which is backed by use of latest technology enabling this firm to serve clients better. People having legal requirements around the globe and coming from a variety of industries can reach out to Milbank Tweed Hadley and Mccloy to get the much needed guidance on various legal matters in the best possible manner. Milbank Tweed Hadley and Mccloy is also an active participant of pro bono works. It is engaged in serving the communities that cannot pay for quality legal counsel. The pro bono efforts of this law firm stands as a proof of the firm’s passion to give back to the society and enable all to benefit from its extensive experience and innovative strategies. Q:Milbank Tweed Hadley And Mccloy law firm has offices located in which areas? A:Milbank Tweed Hadley and Mccloy law firm has set up its offices in many cities in the US. Cities include New York, Washington D.C, Los Angeles, and Sao Paulo. On the other hand, Milbank Tweed Hadley And Mccloy law firm has created a strong international network of its offices across US boundaries, it has international branches situated in the city of London, Frankfurt, Hong Kong, Munich, Tokyo, Beijing, and Singapore. Q:In the Practice area of arbitration and litigation, Milbank Tweed Hadley and Mccloy law firm handle which kinds of claims? A:Milbank Tweed Hadley and Mccloy law firm has hired a total of 140 skilled and qualified attorneys that manage arbitration and litigation cases exclusively. The types of cases that they handle in this area are related to white collar criminal investigations, reinsurance and insurance claims, mergers and acquisitions, control contests, mutual funds claims, commodities litigation, and securities litigation. Q:What in the history of Millbank Tweed Hadley and Mccloy Legal firm? A:Millbank Tweed Hadley and Mccloy Legal firm was set up in 1866 on Wall Street. It was started off by Anderson, Adams, and Young but eventually experienced major changes in names and partners with the passage of time. The firm experienced ties with many legal partners and evolved into a recognized firm. With initial specialization in finance, Millbank Tweed Hadley and Mccloy Legal firm evolved in other practice areas over its 145 year course. Innovation and advancement has made this firm one of the best in the nation. Q:What awards and titles has Millbank Tweed Hadley and Mccloy law firm achieved over the years? A:Millbank Tweed Hadley and Mccloy have been honored for their superior performance and immense experience in litigation. Their excellent legal services and innovative legal solutions are known throughout the nation. The firm has made headlines in major publications such as the National Law Journal, and the American Lawyer. On the other hand, the firm has been ranked as #1 by Chambers Latin America, and #7 on Elite A-List. Its attorneys and lawyers have been rated as the best in 47 various practice areas. Q:Milbank Lawyers specialize in which practice areas? A:Milbank Lawyers provide legal services in the following practice areas: corporate finance, financial restructuring, securities, litigation and arbitration, tax, trusts, environmental law, aviation, pharmaceuticals, biotechnology, telecommunications, technology, healthcare law, power and energy, employment law, exempt organizations, mining and metals, and more. The firm offers all kinds of legal services in these areas, such as legal advice, counseling, guidance, dispute resolution, arbitration, and case analysis. Q:What information can you give me about pro bono activities at Milbank Tweed Law Firm? A:The firm has achieved great recognition for its pro bono projects. Milbank Tweed Law Firm has dedicated a minimum 3% of the firm's billable hours for only pro bono projects and community development activities. Lawyers and attorneys working for Milbank Tweed Law Firm also represent a number of NGO'S and charitable organizations. They offer free services to underprivileged individuals and families.  It is ranked as the 6th firm in the American Lawyer Elite list of 2011 for its pro bono work.